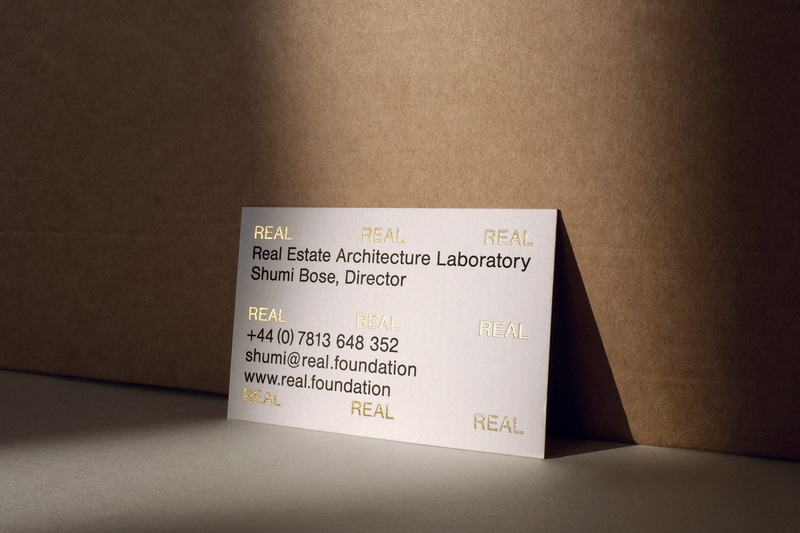 REAL (Real Estate Architecture Laboratory) is a charitable foundation with a double mission of critical inquiry and cultural production. REAL conducts original research to promote innovation in the built environment, with the aim to influence how and where we live, and the conditions of that life. REAL’s public programme includes cultural events, exhibitions and the publishing of original and historical texts about architecture and real estate. The REAL visual identity embraces adaptability over corporate consistency. Typography is systematic in relationship to space; expanding and contracting to occupy a given area and content. This is the first project in a partnership with REAL which will develop to include the design of the foundation’s bi-monthly magazine (Real Review) alongside ongoing publishing, digital and exhibition projects.